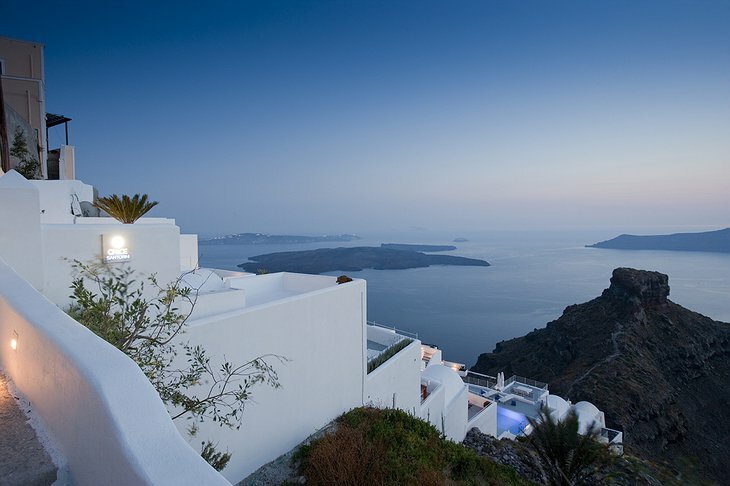 Santorini Island has long been a famous tourist destination in the Greek Isles with its stunning views, rich history, and exquisite cuisine. 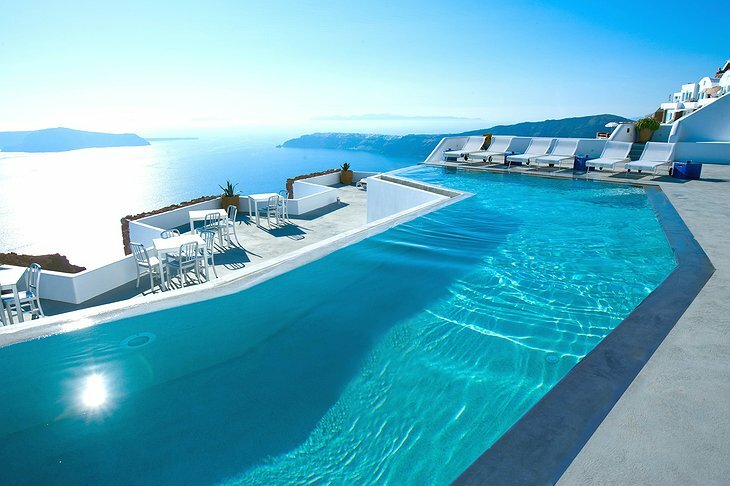 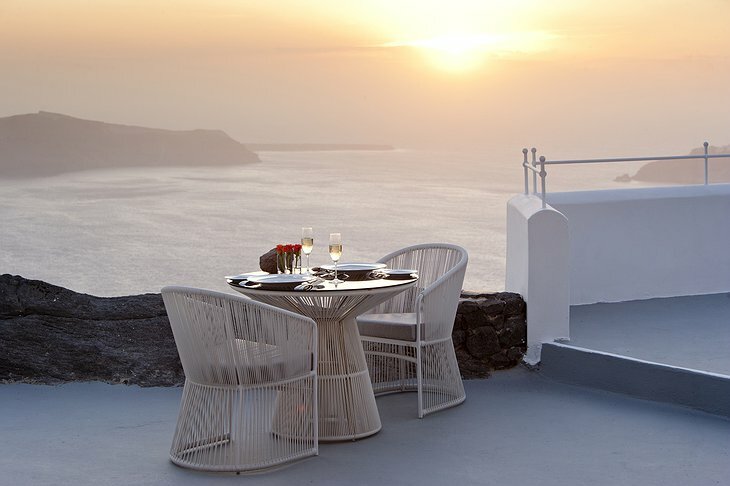 The Grace Santorini overlooks the renowned Caldera and offers luxury accommodations with the perfect vantage point to watch the magnificent sunsets over the Aegean Sea. 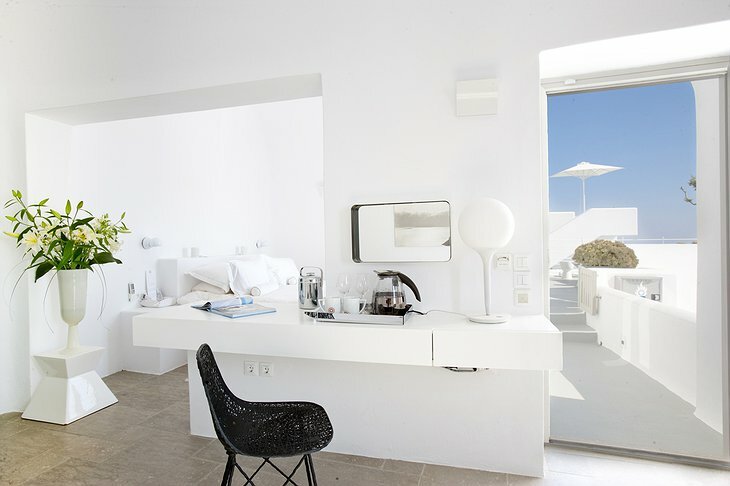 Located in the romantic Imerovigli, this boutique hotel is the ideal destination for honeymooners and small groups seeking tranquility and relaxation. 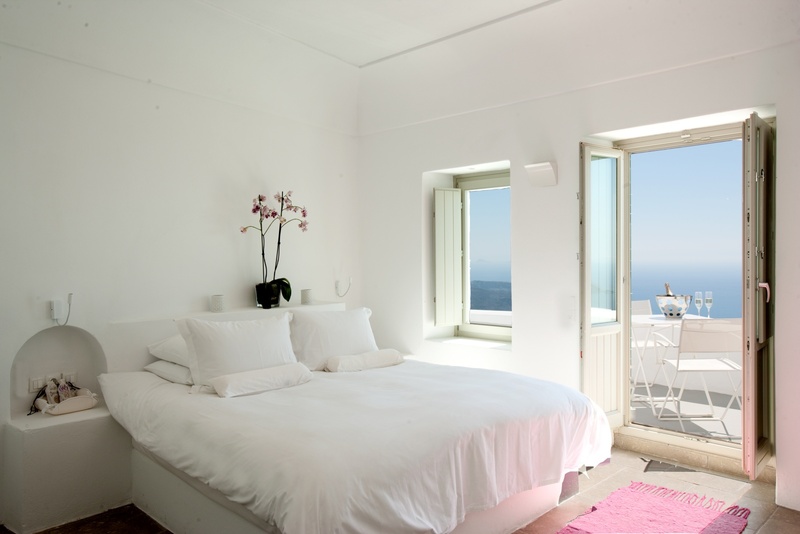 Each guest room offers a balcony and panoramic sea view with a simple, yet elegant design. 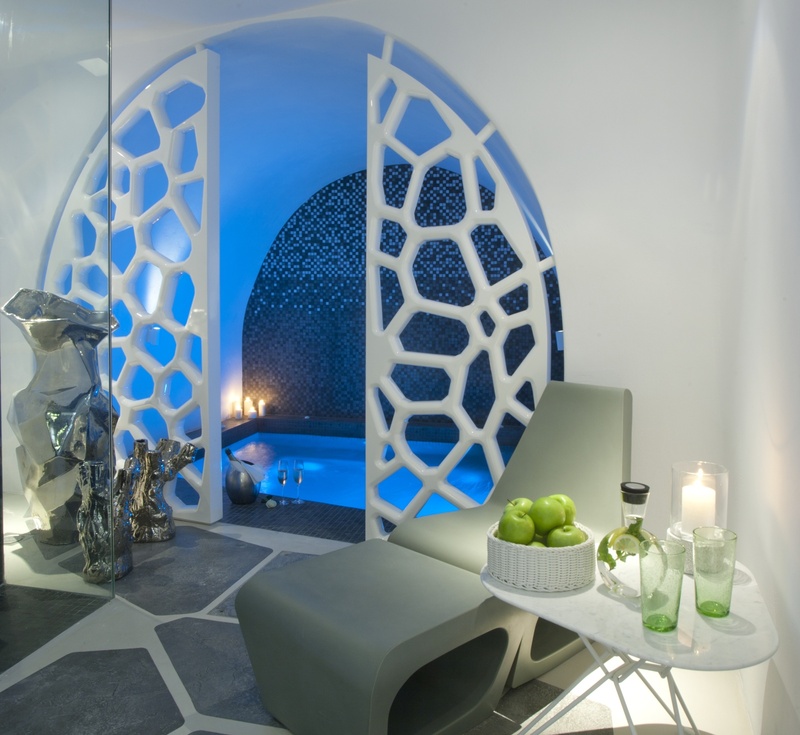 Many rooms offer personal plunge pools to provide a romantic ambience while the luxury suites include extravagant en suite baths with “hammam” steam baths. 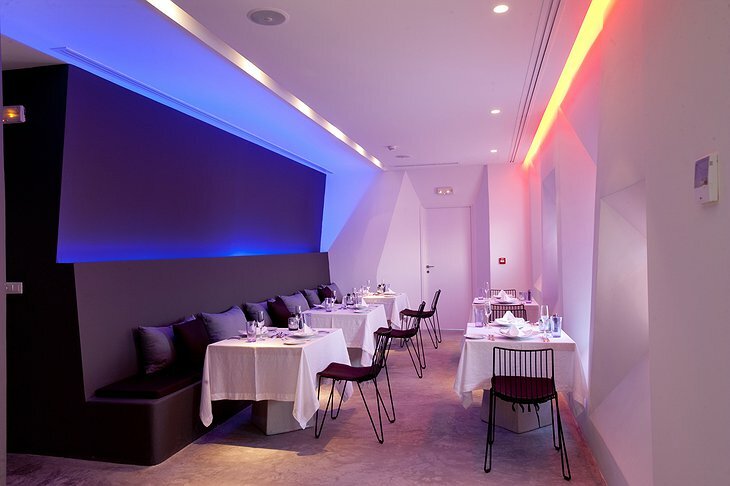 During your stay, be sure to enjoy the gastronomic delights at the hotel’s restaurant while dining under the stars on the outdoor terrace. 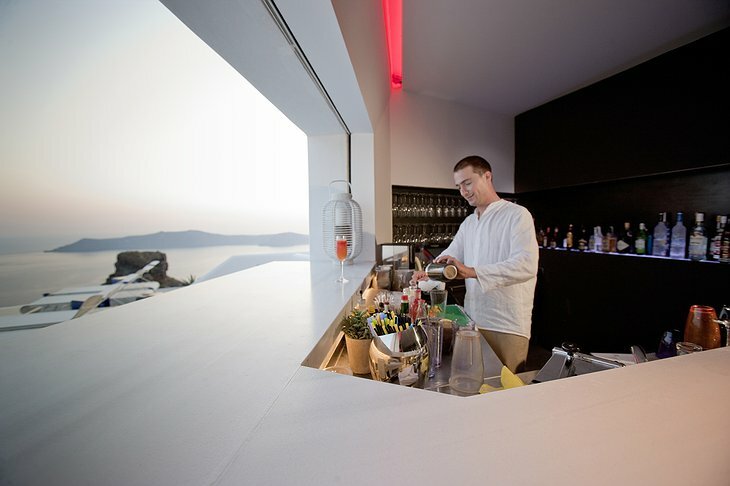 It features Mediterranean fusion cuisine, champagne breakfasts, and lighter fare at the pool bar. The award winning staff is eager to cater to your every desire, whether you are seeking private cruises to nearby islands, hiking or cycling tours, snorkeling and diving excursions, or treatments from the hotel’s spa. 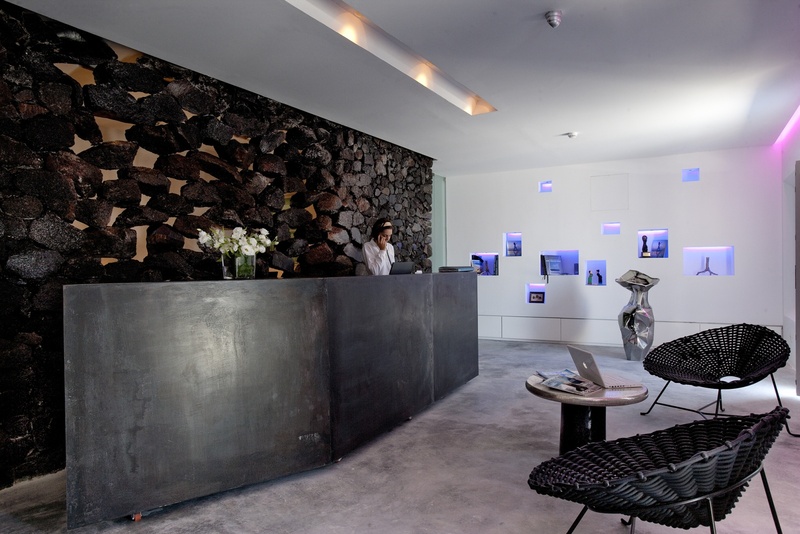 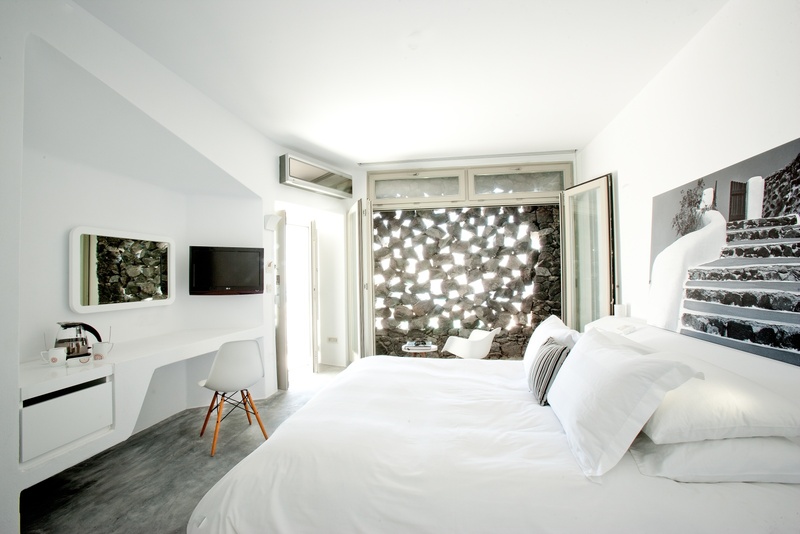 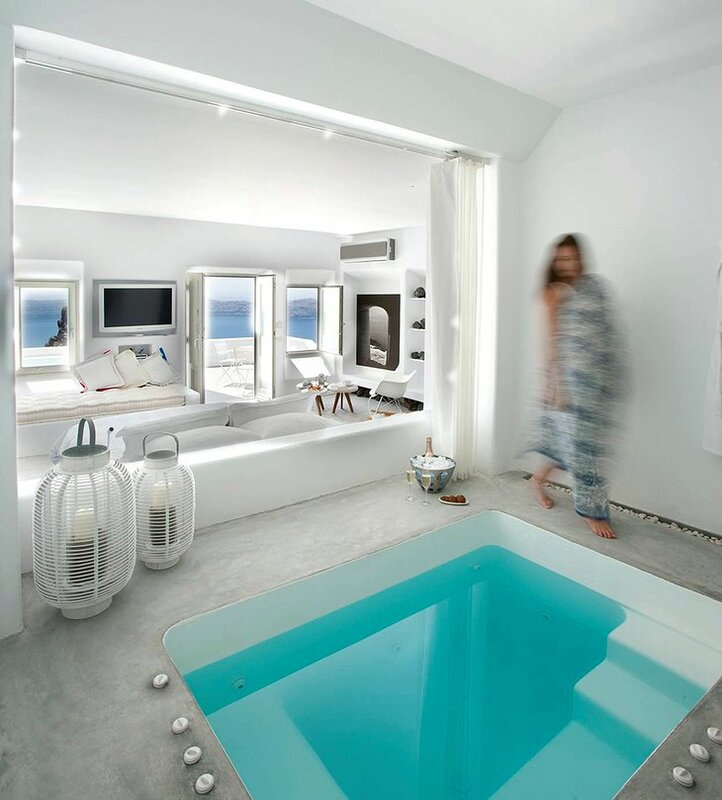 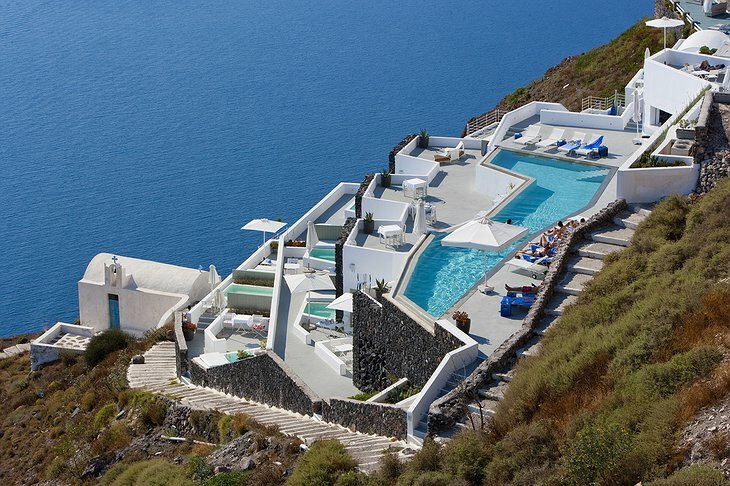 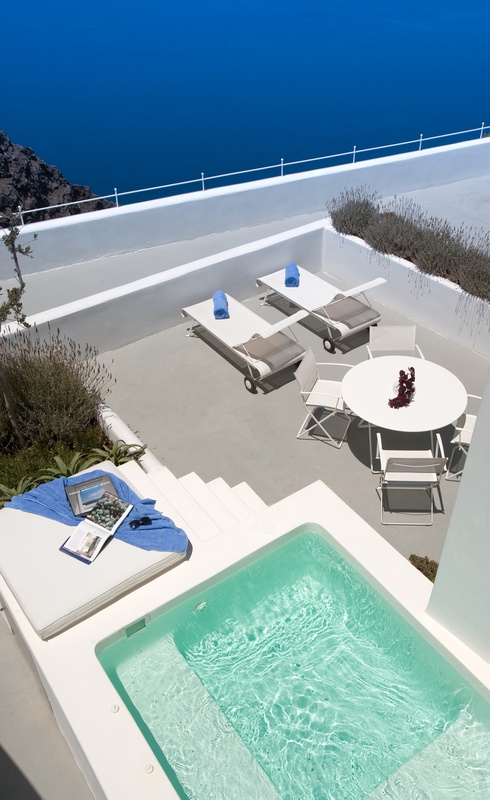 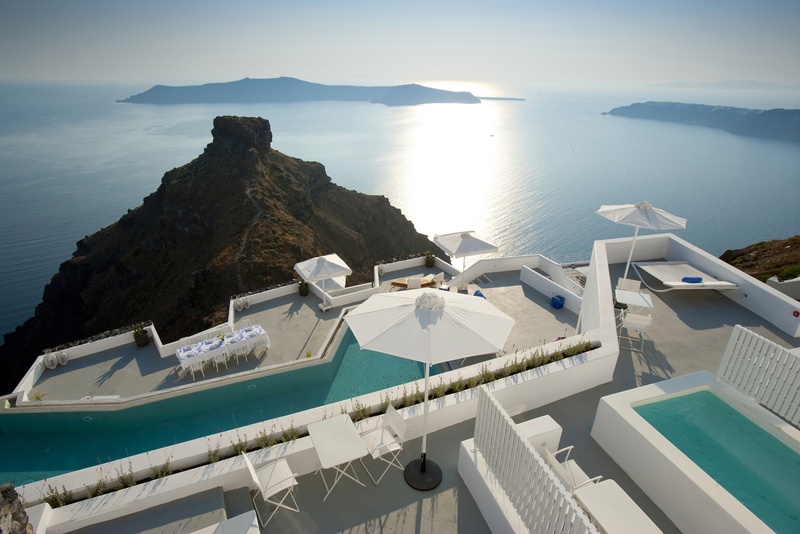 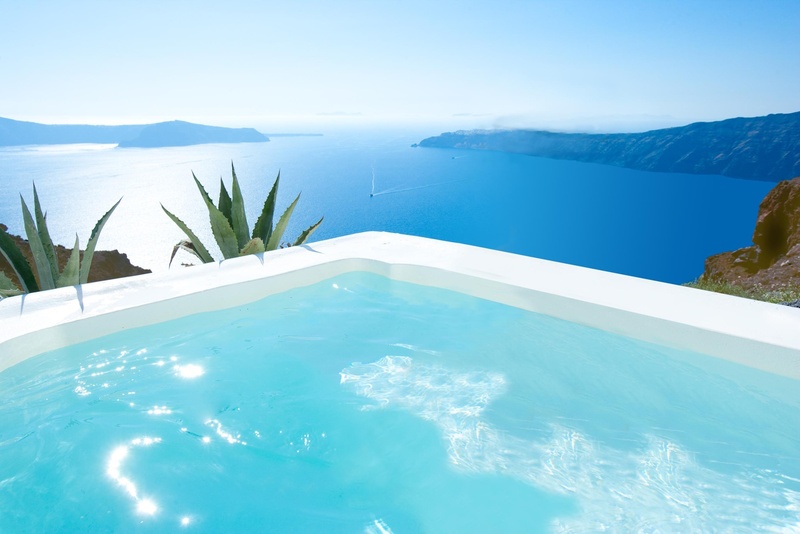 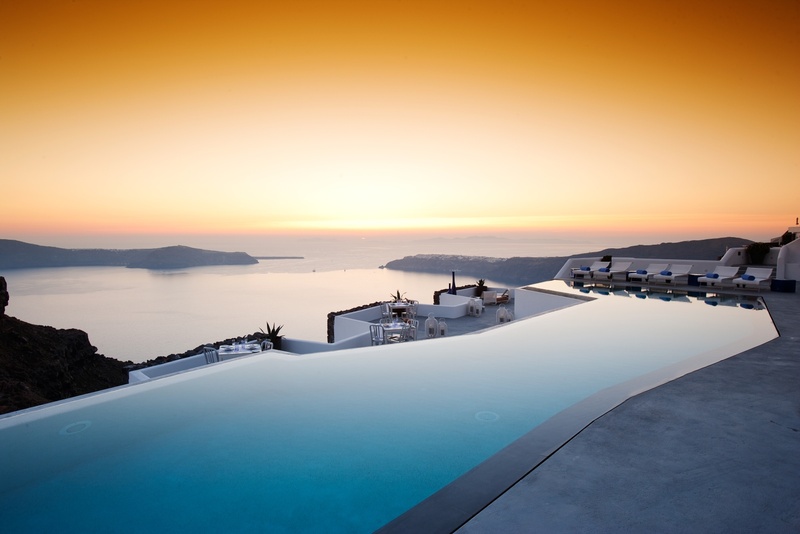 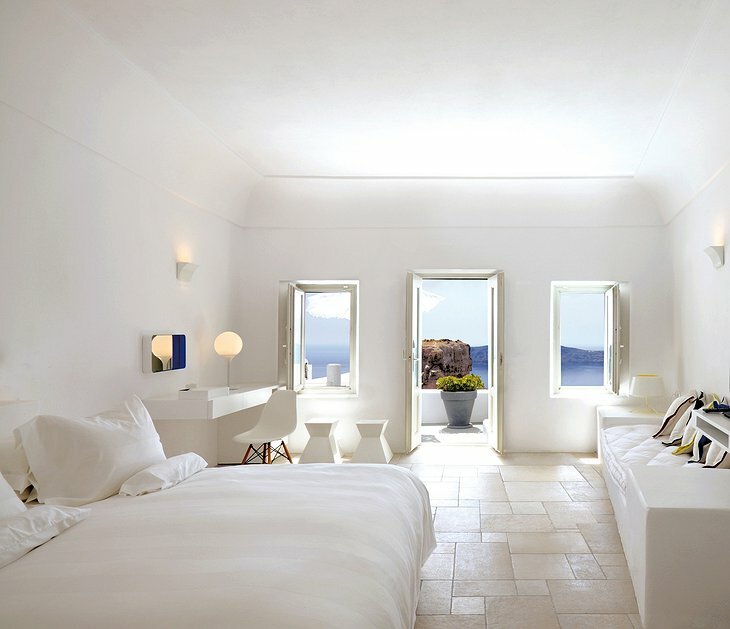 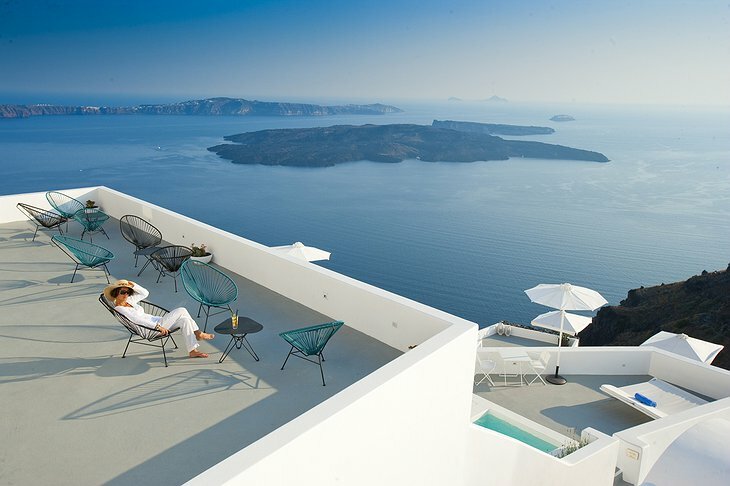 Come experience all this award winning boutique and find serenity on Santorini Island.